Hey guys! Today I have to share with you part two of the China Glaze Sunsational collection -- the jellies! top to bottom, left to right: You Drive Me Coconuts, Shell-O/Are You Jelly? Might as well get the worst over with first, yes? Isle See You Later is a medium blue jelly. I am super disappointed with how thin this one is. This is coming from a fan of well-done VNL (I have mentioned this many times now I think) but come on... the first coat of this polish barely shows up at all, less than some tinted clear base polishes. It took five coats to reach the opacity shown, which is not an acceptable level of opacity in my opinion. Plus, you will notice the yucky little bubbles as well, probably from applying so many coats in rapid succession.... overall, this one is a disappointing miss. Shell-O is a coral pink jelly, and Are You Jelly? is a grape purple jelly. Both were much better formula than Isle See You Later, that's for sure -- three coats each here. I believe both would benefit from one more coat, especially Shell-O, but three is acceptable. Love how bright they are! 3 coats China Glaze Shell-O/Are You Jelly? Keepin' It Teal is a jade green-leaning teal jelly. Heat Index is a warmer-leaning hot pink jelly. Both were decent at three coats, but judging from my pictures, Keepin' It Teal probably needed one more. You Drive Me Coconuts is a cooler leaning hot pink jelly, much cooler-toned than Heat Index. I did this as a full mani, so I was forced to layer on that extra coat and use topcoat, which did improve the overall mani quality I think. So it's not as if application was awful, it's just that they were so sheer! These are all nice enough colors, but unfortunately the sheer quality was disappointing enough to leave me a little underwhelmed. If you like jelly sammies this would probably work well there. If you want to pile coat after coat on your nails, just make sure to wait in between coats to avoid nasty bubbles. 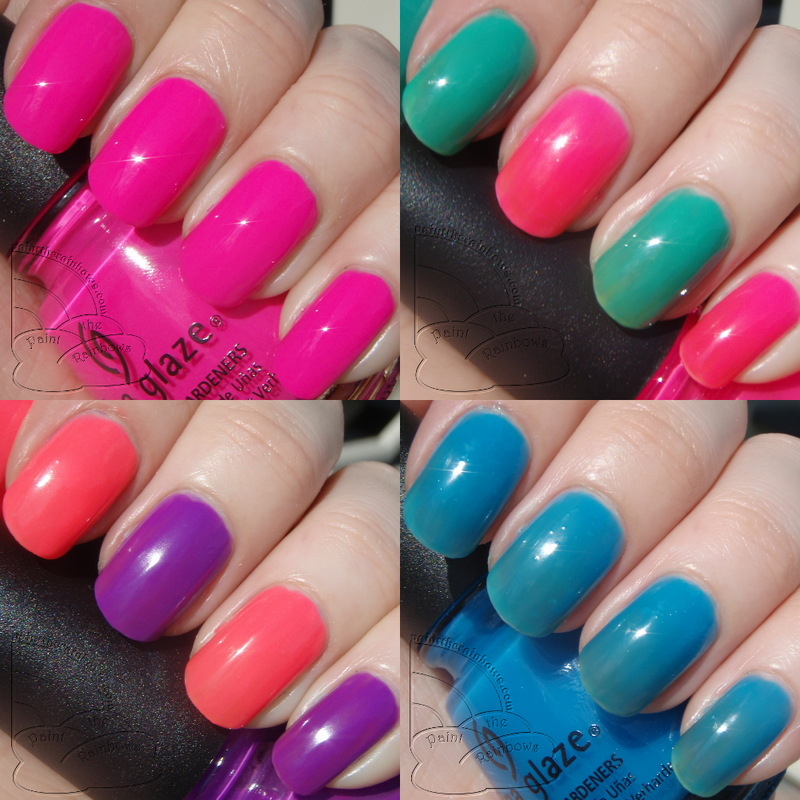 These are bright, pretty summery shades... but the formula gets a big fat thumbs down from me. Bummer. Wow!I must wanna try it.The restaurants should use double or triple glazing glasses for inner insulation, temperature controlling and all.In this case, uk double glazing companies & deals are best to be contacted.